Plantar Fasciitis is classified as an overuse condition resulting in inflammation of the plantar fascia which results in tissue fatigue. Plantar Fasciitis is located at the bottom of the foot and this condition can be both very painful and difficult to treat. 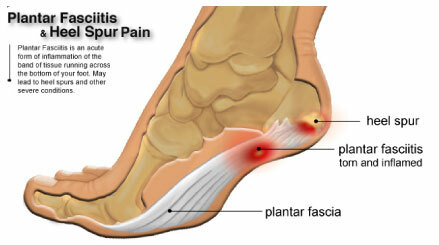 Plantar Fasciitis is the most common cause of foot pain in athtletes. Most people with Plantar Fasciitis are over the age of 40 and very active athletically, however those at age 20 can experience Plantar Fasciitis as well. However almost anyone can be affected by Plantar Fasciitis whether young or old. 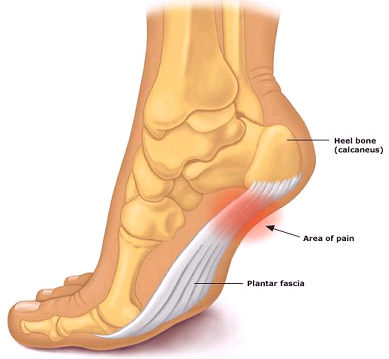 Plantar Fasciitis can occur from overtraining, poor techniques, or when running on hard surfaces for long periods of time. Parking is readily available at both locations. In Mississauga parking is free up to one hour (some conditions apply). In Burlington there is no limit on time available for parking.